When Alan Wake's twisted doppelganger, Mr. Scratch, unleashes his forces of darkness throughout the rural Arizona town of Night Springs, it's up to Alan to rewrite reality and foil his plans (unaware that he has a twisted trick up his sl...MoreWhen Alan Wake's twisted doppelganger, Mr. Scratch, unleashes his forces of darkness throughout the rural Arizona town of Night Springs, it's up to Alan to rewrite reality and foil his plans (unaware that he has a twisted trick up his sleeve) in this crazy spin-off of the original 2010 horror game Alan Wake. 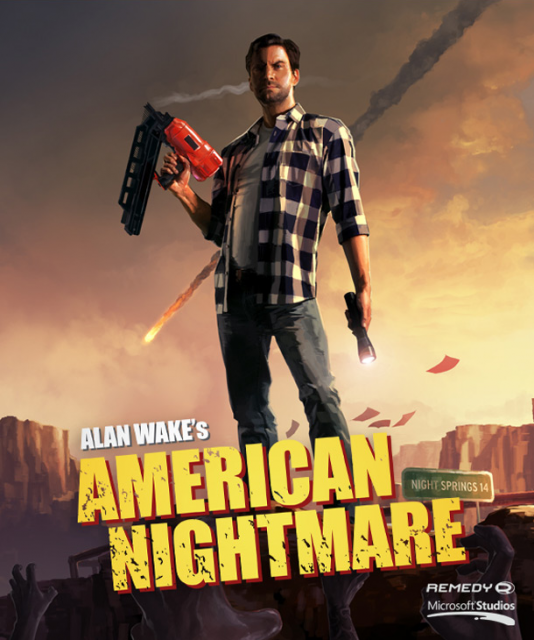 "Nowhere near as good as the original Alan Wake, but still great to be back in that world. It's a shame they didn't make this a full length sequel instead of an Xbox Arcade title."